Have you heard the news? Bassline Fitness, recently voted the #1 gym in Western Washington, is setting up a new location, right on the ground floor of Dunn! Now residents of Dunn Motors and the Pike/Pine corridor will have access to one of the most dynamic and fun fitness experiences in all of Seattle. True to their namesake, Bassline, at the core, is driven by music. All of their fitness classes are underscored by energetic, pumping rhythms that are perfect for motivating and keeping you moving. Plus, the instructors make sure to always dial in the lights, which builds an engaging atmosphere, making it easy for you to immerse yourself in the experience of your workout. At Bassline, the instructors make sure you leave all your work baggage and daily stressors at the door, to zone in on your workout and to focus on your health. Bassline does ‘Group Fitness’ to a T. They are absolutely against exclusivity, designing their fitness classes with a one-size-fits-all approach to provide an extensive workout for individuals with all levels of skill and experience. Bassline classes are structured, to be sure, but the structure is fluid enough to allow for flexibility and accommodation. 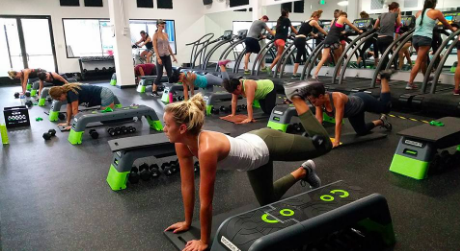 Plus, the classes are slightly smaller than your average group fitness class, allowing Bassline instructors to give more attention to each person. 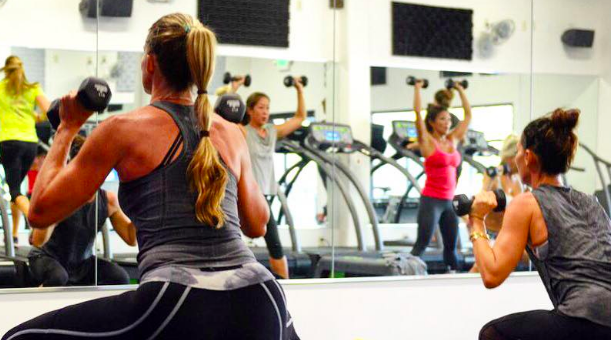 The instructors at Bassline are committed to everyone, which is why they were voted the top fitness center among Seattle Magazine’s Reader’s Choice poll. The instructors at Bassine believe information is knowledge and knowledge is power. That’s why they provide free heart rate monitors for every class. This way, you’re able to see where your body is at any point during the class, on any given day, which is helpful for building endurance and challenging yourself. Plus, every heart rate monitor comes with a corresponding codename, making your stats entirely private. Bassline’s 60-minute fitness classes involve a combination of Cardio, circuit training, and strength training to provide a complete, dynamic workout. Typically, a class will start with a short burst of high-intensity cardio. The class then moves to the floor, where activities vary depending on the class, but typically center on circuit training. The cardio portions of the class involve Woodway treadmills, state-of-the-art machines that allow for a smooth, low impact running experience you can’t get on another treadmill. The strength training portion of class will work you from head to toe and typically involves a range of equipment such as weights, TRX, Dynamax balls, boxing bags, bodyweight exercises and much more. An interval training workout that mixes cardio with strength training, Lean206 is for everyone. This 60-minute class will build your strength, endurance and overall physical conditioning using the Woodway treadmills for cardio and weights, TRX & bodyweight exercises for strength. Bazuka is a high energy fast paced circuit training class using all of the equipment. You’ll dance back and forth between intervals of cardio and circuit training for a full-on 60-minute blast of fitness. Similar to Lean206 the strength portion of class puts an emphasis on the use of TRX suspension straps. You’ll be amazed how many exercise options they provide! Lean Boxing is a cardio-packed class which includes 3-minute intervals of treadmill and boxing. Learn the proper punching technique using the gloves, mitts and bags which are provided during class. Bassline Fitness at Dunn, owned by Dave & Angela Fox of Kirkland, will be under the tutelage of managers Lauren Acton and Ben Haynes, two fitness instructors who are new to Seattle by way of Hawaii, here to usher Bassline into the Capitol Hill neighborhood. Lauren and Ben have also signed a lease here at Dunn, so they’ll always be nearby to make sure Bassline is operating at its peak. Speaking of Dunn, Bassline will be offering a special for Dunn residents: TWO FREE WEEKS! That’s right, every resident of Dunn Motors gets two free weeks to Bassline gym! Just a little way for Bassline to introduce themselves to the neighborhood. But wait! There’s more! Bassline is offering a limited time Grand Opening Special: $99 for your 1st month of unlimited classes! Rates go to $129 per month thereafter, or there is a one-year guaranteed rate available with a one-year contract. Class packs are also offered for those who don’t want to commit but want to give it a try. In the meantime, Bassline at Dunn will be having a soft opening towards the end of July, and they’ll be open to chat during the Capitol Hill Block Party, so make sure to stop by and say Hello! The apartments at Dunn Motors are currently available for rent. If you’d like to lead an exciting, active life centered in the bustling Capitol Hill neighborhood, check out Dunn, and get in touch today!